Next you will create a line which defines the lamp center and beam direction. 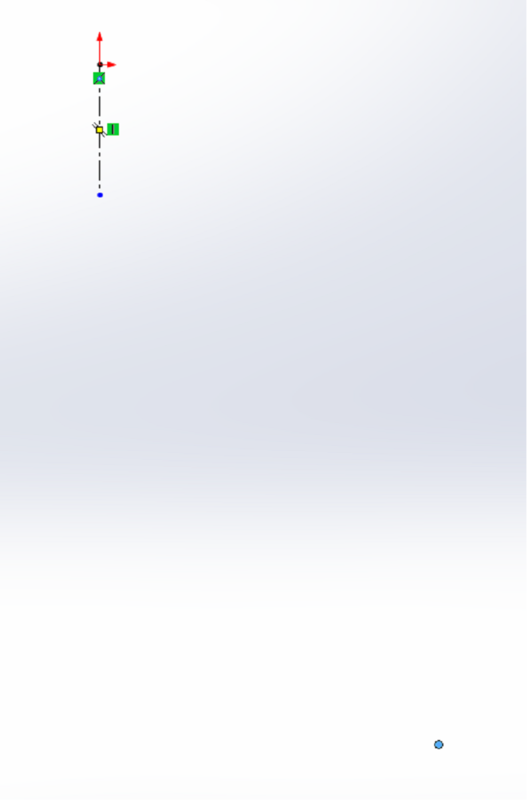 From the Sketch tab in the Command Manager, click on the Line button and check “For construction”. 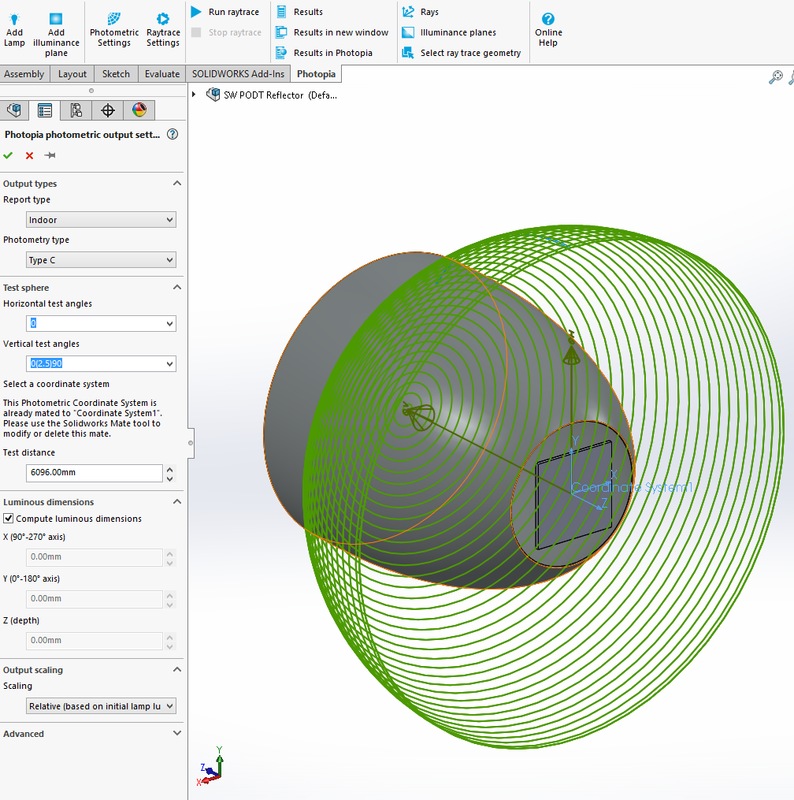 Click to start the line at the origin and drag it down vertically to be about 10mm long. 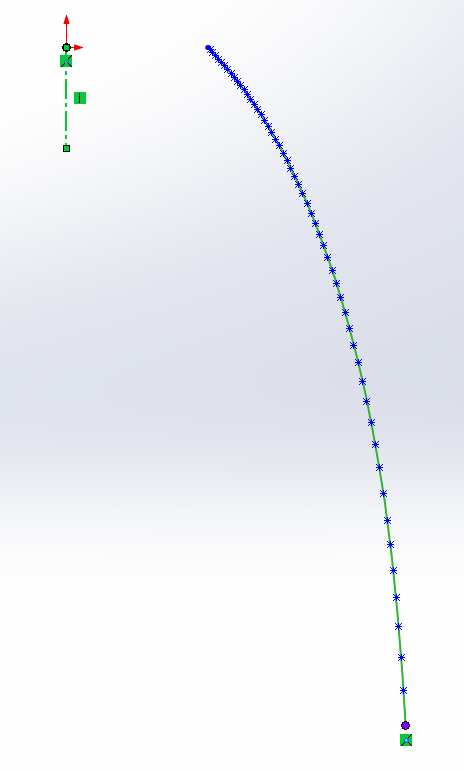 The exact length isn’t critical as this line defines the center of the beam and reflector revolve axis. Finally, from the Sketch tab in the Command Manager, click on the Point button, click anywhere in the view to create the point, and then change its position to 45,-90 in the Property Manager. Ensure the sketch still open and click Design reflector (Photopia CommandManager Tab) or Tools > Photopia > Design reflector. For the Start point, select the point you added to the sketch. Set the Angular extent to 64.3deg. Click (check) to create the reflector profile and you should see the profile displayed in your Sketch. 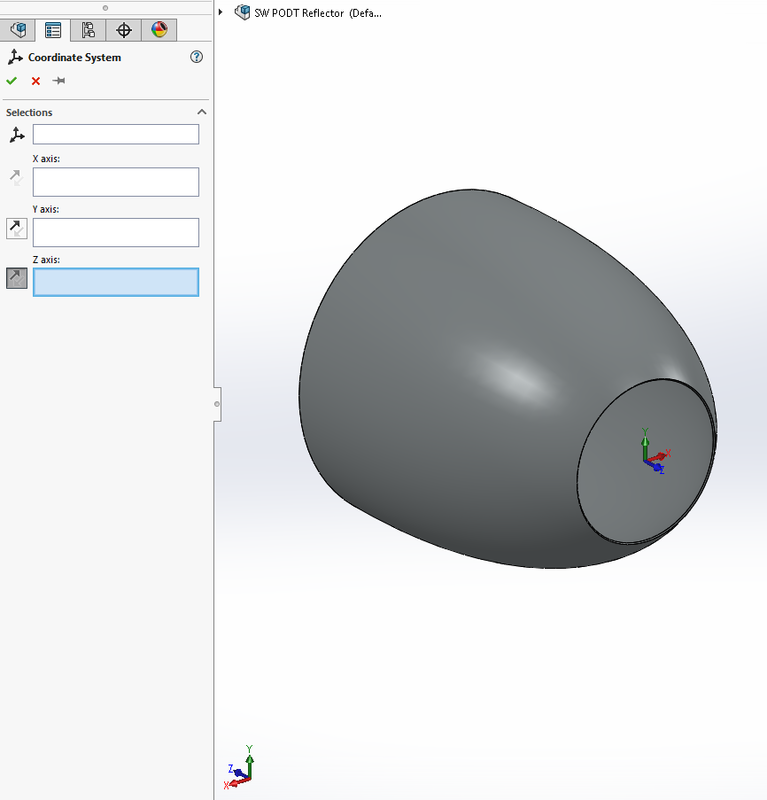 If you see the following message from SOLIDWORKS, click No since we want to create a thin revolution and don’t want to modify the PODT generated profile. The the Axis of Revolution should automatically have selected the construction line. 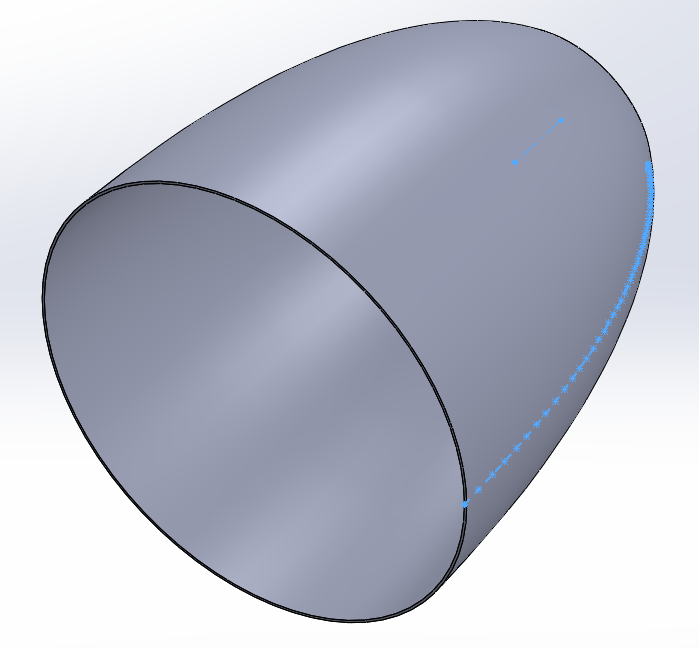 Set the Direction 1 Thickness to 0.5mm. Choose File > Save to save the part file. Give it a name of COB Flood Reflector. In the Photopia Appearances Tab on the right (green sphere icon), find the “Generic Spec 85” reflective material. Use the filter to show only the Reflective materials so you choose the right one. Drag this material onto the Reflector Part in the Feature Manager to assign the material at the component level to the entire part. Click (check) save the Photometric Settings. 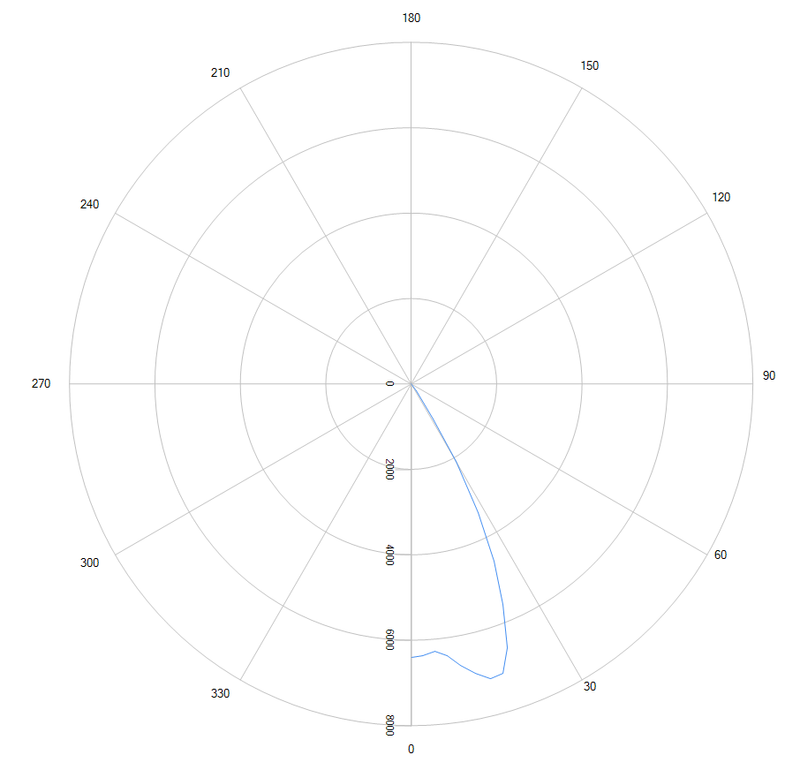 The results for this initial reflector produce a 54° beam with the peak off center. Since we were targeting a 40° beam with a centered peak, we will now adjust the reflector profile. Right click on the COB Flood Reflector in the Feature Manager and select Edit Part from the flyout menu. Select the Revolve-Thin1 feature and then click the Design reflector button (Photopia CommandManager Tab). Under Reload Reflector, click the drop down list and choose the last item in the list. This will associate your initial reflector parameters with the revolved boss/base feature. Change the Start angle to 27.5 and click Update Aiming to narrow the beam a bit. Change the Weight minimum to 0.9. Change the Weight exponent to -15. 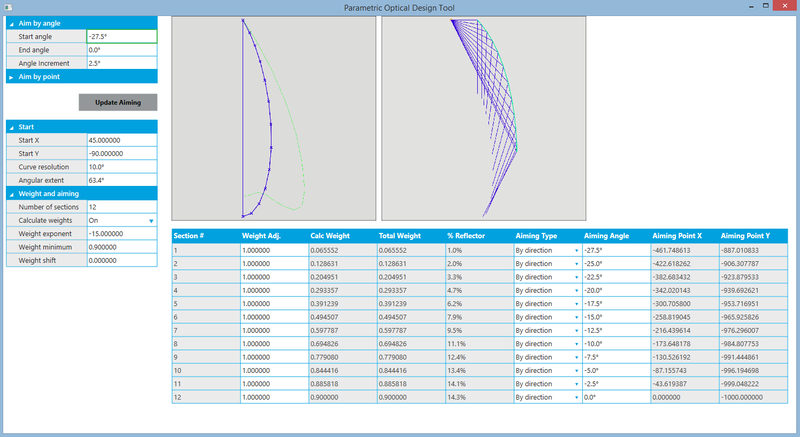 You should now see the blue weighting factor plot with higher values in the beam center. The obtained candela plot from the last run is also shown in this view. Check the Generate faceted profile check box. Click the (check) to update the reflector. 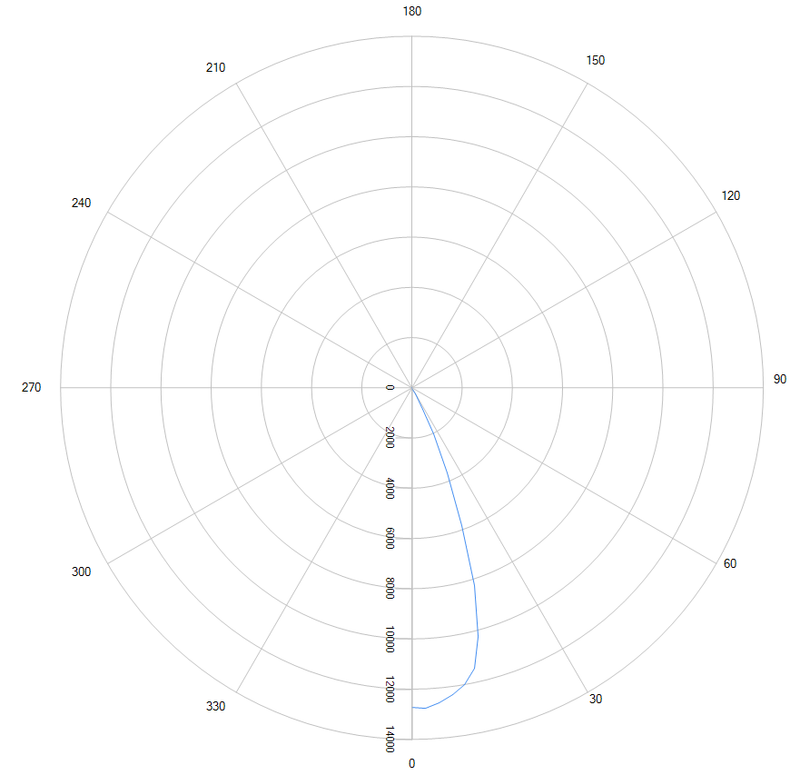 You should now see a beam with the following distribution and about a 39° beam angle. CONGRATULATIONS! 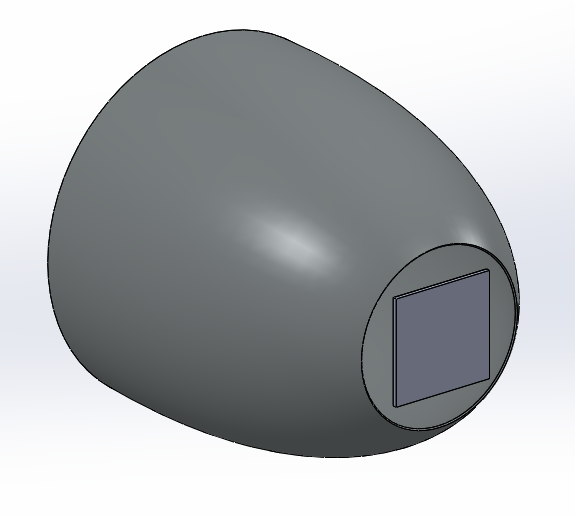 You have completed the PODT reflector design tutorial.